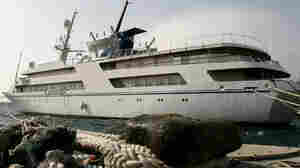 November 26, 2010  A 269-foot yacht commissioned by Saddam Hussein in 1981 for about $25 million has finally made its way home after spending decades on loan. As plans for the boat are still hashed out, Iraq's minister of transportation has been spending some long-awaited time on the former Iraqi dictator's boat. November 23, 2010  Iraqi politicians recently announced a power-sharing deal intended to end months of political limbo. Journalist Nir Rosen tells Steve Inskeep the new order can't be overthrown by any internal power, but the country is still unstable for ordinary citizens, who deal with daily threats of criminal violence. November 17, 2010  Jalal Talabani says he is against the death penalty in principle, and simply won't do it. 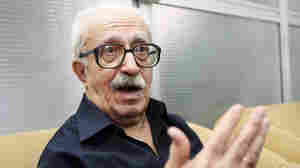 Tariq Aziz, long the international face of the Saddam regime, was sentenced for his involvement in the persecution and killing of members of a Shiite party. The Iraq War, Which One? November 16, 2010  When the question is asked, is the Iraq War over? The right answer is which one? And the answer usually is, it depends. November 14, 2010  Iraq is at last poised to have a new government, led by Nouri al-Maliki. But it is not yet certain what roles Iraq's Sunnis will play, and their support is far from assured. Host Liane Hansen talks to NPR's Kelly McEvers in Baghdad about the political situation there. 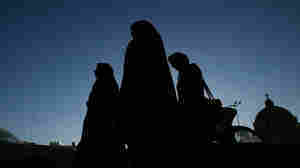 November 12, 2010  Like countless other women in Iraq, Uhud, 19, is at risk of "honor killing" by her shamed family. November 11, 2010  The Pentagon has been surveying troops to judge how the force might manage if it allows gays to serve openly in the military. A report today suggests that most service members do NOT have real problems serving alongside homosexuals. Melissa Block talks with NPR's Tom Bowman, who is currently with Marines in Afghanistan, about his view from the field on "don't ask, don't tell." November 11, 2010  Robert Siegel speaks with Christopher Hill, dean of Josef Korbel School of International Studies at the University of Denver. He was ambassador to Iraq from April 2009 to last August. He talks about the U.S. role in forming the new Iraqi government. November 11, 2010  The Iraqi parliament is meeting today to endorse a deal on the formation of a new government, ending an eight-month political stalemate. Nouri al-Maliki will return as prime minister, and Kurdish leader Jalal Talabani will remain as president. 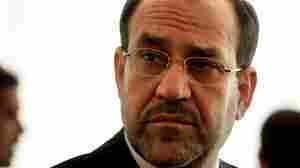 A senior figure in a Sunni-backed group will become parliament speaker, but many Sunnis are disappointed by the deal. November 10, 2010  Steve Inskeep speaks with NPR's Kelly McEvers in Baghdad about the latest attacks that have taken place in Christian areas of the city. November 9, 2010  After nine tours of duty, Sgt. 1st Class Ronald Grider was killed in Afghanistan in September on his 30th birthday. Friends and family say despite the frequent deployments, Grider was still the happy-go-lucky kid they all called "Hank," and that he had found his calling in the military. Rachel Lippmann reports for St. Louis Public Radio. November 8, 2010  Before it was called PTSD, soldiers traumatized in war were described as "shell-shocked" or "battle-fatigued." 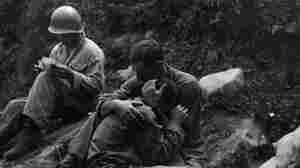 The new HBO documentary Wartorn, directed by Ellen Goosenberg Kent and Jon Alpert, chronicles the history of PTSD on the American battlefield from the Civil War to the present. November 8, 2010  Until two years ago, the Mahdi Army, run by radical Shiite cleric Muqtada al-Sadr, had the run of Basra. 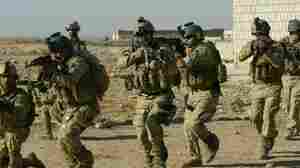 Then U.S. troops and Iraqi forces led by Prime Minister Nouri al-Maliki cracked down, and Sadr's forces announced a cease-fire. Now Sadr has teamed up with Maliki in a coalition that could be poised to form Iraq's government, and many Iraqis fear the worst. November 4, 2010  Parliament has been called into session next week, a sign that Iraq's long stalemate over how to form a government may soon end. A rash of deadly attacks in Baghdad may be jarring lawmakers into action after inconclusive elections in March.